Farrah Gray once said; " BUILD YOUR OWN DREAMS OR SOMEONE ELSE WILL HIRE YOU TO BUILD THEIRS"
Yes, I wouldn't deny the fact that starting your own business has its own ups and downs. But, ask yourself this question, what in life is devoid of several ups and downs? Nothing in this life do we humans take more seriously than our NAME( in this case, your BRAND). Yes, there's a feeling of joy and fulfillment when you are part of the team that's solely responsible for building a BRAND from the scratch but it can't be compared to the kind of in-depth feeling of fulfilment you have when you build your own name, your own BRAND. 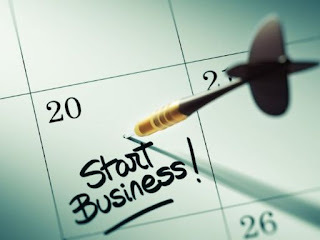 But, little did you know that you can only initiate this process when you take the first step, which is starting your own business. No matter what happens, Facebook will always point back to its origin, MARK ZUCKERBERG, why, because he chose to take the first giant step of starting his own business. You can do likewise today. Of a truth, you can learn to save even when in another man's business but this can't be compared to when you have a business of your own. You have a business and you surely want it to grow. So this inherent desire will push you to save and in this case, not only money but time, resources, ideas and many other whatnots. Starting your own business leaves in one way or the other a mark of responsibility on you. You always feel obligated to meet up with demands, clients, people, events and many other things in that category. This therefore builds a sense of responsibility and value in you. You no longer spend time doing things that are irrelevant, you become conscious of other people around you who you need to be responsible to/for. Being creative is solely satisfying. It makes you desire to proffer solution to problems and make life better. In fact, the act of building your own business is creative in itself. There are so many people today saturated with tons of ideas, beautiful ideas that can proffer solution to various human needs but these ideas starve to death because they haven't or didn't create the necessary environment( starting their own business) for these ideas to sprout. Starting your own business today gives you the ample opportunity to set goals for yourself and achieve them. You get more aligned to working towards your goal and at the end achieving it. Read 7 BENEFITS OF BEING SELF-EMPLOYED. No matter how much you achieve under a company or organization, it can never be compared with what you achieve doing your own personal business. Every individual is a multi-copy system, like a diamond with different sides. There are several sides or forms of yourself that still lurk in the background. Fortunately, starting your own business provides the available environment to unleash these sides; the managerial, leadership, mental and many other whatnots. Then, in case you find yourself not well grounded in one or two of these perspectives, you result into getting better. Yes, I know, Rome wasn't built in a day. So your business can't sprout and grow robust all of a sudden. 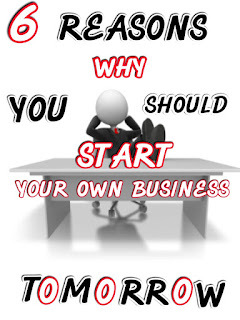 But at the same time, it will be better to start your own business now so as not to prolong or move farther your day of big achievements. If you see this as timely, don't hesitate to share it with others.